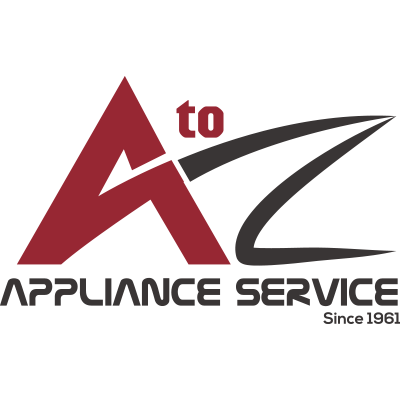 you can count on A to Z Appliance Service for a quick solution. To get started on your service request, simply fill out the request form. It only takes a few minutes, and the answers you provide will give us a great head start on solving your issues. I'm confirming this product is not covered by any type of warranty. I'm agreeing to pay the Service Call and diagnosis fee is $90 + tax upon arrival. Parts and labor are extra if needed. We will Quote you for the entire repair once the problem has been diagnosed by our expert technicians. I agree to have payment for services ready upon arrival. I agree to have the product accessible. I agree to have my driveway accessible during inclement weather. **NOTE** If product under any type of warranty, do not use this scheduler. Please contact the manufacturer or extended warranty company directly to schedule for service. Our service call and diagnosis fee is $90 on most items. This includes the trip to the home and a complete diagnosis of your unit regardless of time. Parts and labor are extra. Labor is calculated using a national flat rate labor guide. Tax is also added. Our office will contact you the afternoon before your scheduled service date with your timeframe that you can expect the technician to arrive. We do require confirmation of the timeframe prior to arriving to your home. Even though we provide a timeframe for your appointment, we also allow you to track your technician’s progress allowing you to better plan out the rest of your day! The technician will call when they are on their way to your home. If your unit is under (1) year of age, you will need to reach out directly to the brand of your appliance. Their customer service will issue a dispatch number authorizing us to repair the product. We need this to be able to bill the appropriate party for services. If your unit is over (1) year of age, and has an extended warranty, you must contact the extended warranty company first prior to setting up a service appointment with us. The phone number you need to call can be found on your extended warranty certificate. If you are unable to locate that, please contact the dealer in which you purchased the unit from, and they should be able to provide the appropriate information on your extended warranty. 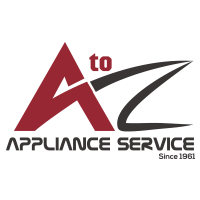 When you deal with A to Z, you’re putting your faith in the area’s very best appliance repair specialists. 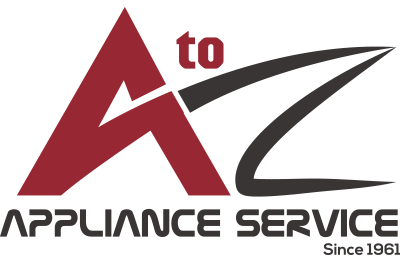 We’ve been in this business for decades and have full confidence in our ability to take care of whatever is ailing your appliances. Our repair guarantee stands as a reminder that we will do the job the right way, every time. Part warranty provided by manufacturer. Warranty applies only when you have paid us directly for a particular repair. Otherwise, your warranty is only the duration of the warranty you have with the manufacturer and/or extended warranty company. Our warranty does not cover food loss or loss of use. Single family home use only. Your product must be installed as per manufacturer guidelines and properly maintained to be eligible for our warranty.